The Aqua Sphere deck bag is made from a high grade nylon mesh that provides water drainage and durability making the bag perfect for transporting swimming equipment like fins, pull buoys, caps, towels and other similar items. The bag has a drawstring closure that enables keeping the gear secure during transportation and adjustable shoulder straps that provide a comfortable fit while carrying. This roomy bag can be easily stored using a nylon hang strap, which helps the equipment dry quickly while hanging. You also do not have to worry about losing the bag on the beach or at the pool as it has a name card holder where you can place contact details. for submitting product information about Aqua Sphere Deck Bag We aim to answer all questions within 2-3 days. 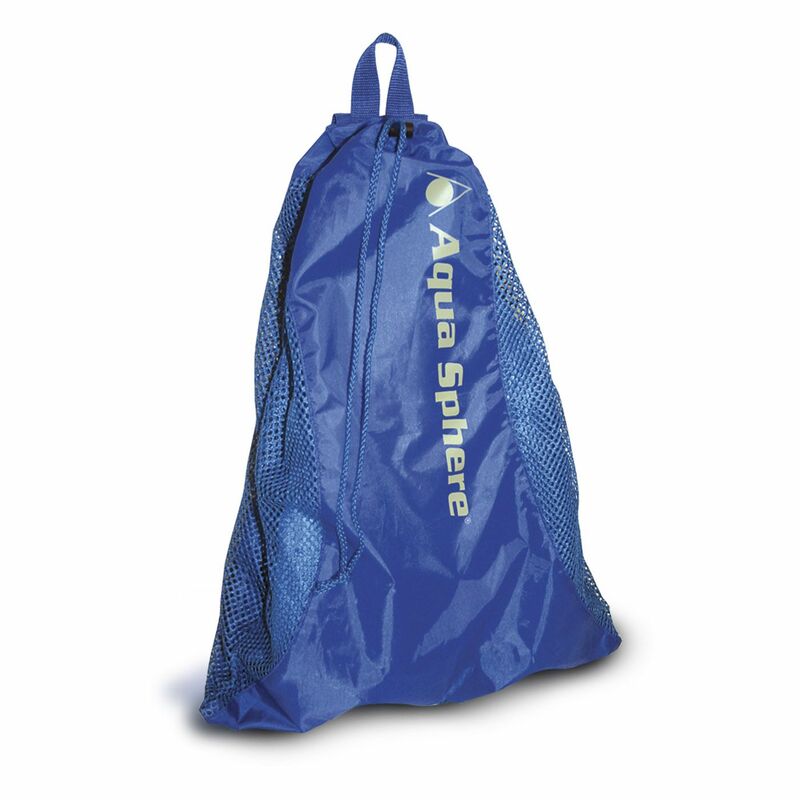 for submitting product information about Aqua Sphere Deck Bag. We aim to answer all questions within 2-3 days. If you provided your name and email address, we will email you as soon as the answer is published. Good looking. Functional, can be worn as rucksack, and good value. for submitting product review about Aqua Sphere Deck Bag.